In this hint, I am trying to provide a direct download link for Arabic Language Packs SharePoint 2013 .where all other Languages Packs are available. 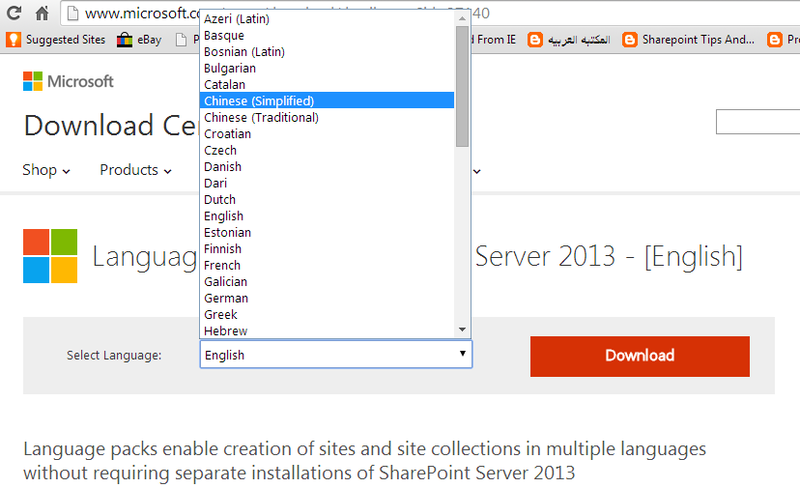 When I tried to download Arabic Language Packs for SharePoint 2013 via Microsoft download center I couldn’t find Arabic option in languages drop down list as shown ! I also tried to search with this key “Download Arabic Language Packs for SharePoint 2013” with no chance to find it.